NOTE: If you are one of the 30 UMB non-tenure track faculty members of the ORP-SERS class action, please contact the FSU before reading the information below. This is a very important decision with long-term consequences. The FSU strongly encourages you to meet with a financial planner concerning issues related to your retirement. The MTA does not provide financial planning or advising but it does provide free retirement consultation for members. An MTA specialist will be hosting retirement consultation sessions between March 2019 and June 2019. See here for more information or contact Edward McCourt- 781 325-2553 directly. You can also email orp@massteacher.org. 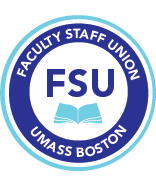 In addition, UMass Boston's Human Resources department will be hosting retirement planning sessions throughout the 18-19 academic year, in summer 2019, and into the Fall 19 semester. See here for more information or contact Barbara Jean Coneely in HR directly. The Pension Reform Act of 2011 allowed for a one-time opportunity to switch from the Optional Retirement Program (ORP, the defined contribution plan) to MSERS (MA State Employee Retirement system, the defined benefit plan). The opportunity to switch is sometimes referred to as the Section 60 legislation. For updates and for more information on Section 60 legislation, go to the Dept of Higher Ed website. Click here to see comprehensive information from the MTA on the Section 60 transfer process. We will be sure to keep members updated on this important issue. For more information contact the FSU.